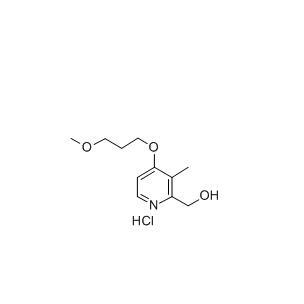 Rabeprazole Hydroxy Compound Cas number is 675198-19-3, it is a white crystalline powder,molecular formula is C11H18ClNO3, molecular weight is 247.72, it is an important intermediate Rabeprazole, we will operate in accordance with GMP standard of the production process of this product . According to the production situation, we have made corresponding production records, testing and analysis records, retention sample records. We can provide different documents according to different stages, such as in the early stages of the order, we can provide coa and synthetic routes, after order confirmation,we can provide analytical methods. Looking for ideal 675198-19-3 For Rabeprazole Manufacturer & supplier ? We have a wide selection at great prices to help you get creative. All the CAS 675198-19-3 are quality guaranteed. We are China Origin Factory of CAS NUMBER 675198-19-3. If you have any question, please feel free to contact us.